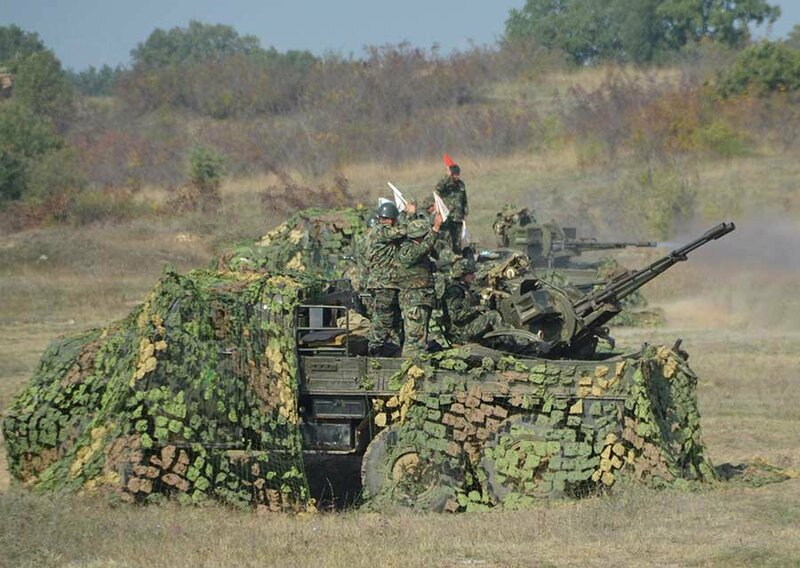 HASKOVO, Bulgaria (BulgarianMilitary.com) – From today until April 19th, there will be field artillery training for over 400 Bulgarian soldiers and about 130 combat armored and specialized artillery equipment, learn BulgarianMilitary.com. The training will take place at the Koren training camp,and participation will take military units from Asenovgrad, Yambol, Karlovo, Smolyan, Blagoevgrad, Vratsa, Kazanlak and Svoboda. In its timeline, training includes complex classes, divisional tactical teachings with combat shooting, individual fireworks, and a number of drills and artillery fire control. The main purpose of tactical and training combat shooting is the artillery divisions of our Army to show and strengthen their capabilities to carry out general and immediate fire maintenance. Chief of the camp is Colonel Lachezar Mishev, commander of the military formation 24490 – Assenovgrad, and the head of the Artillery fire artillery training is Colonel Petar Krastanov from the Command of the Land Forces. BulgarianMilitary.com recalls that in mid-October last year, a “Strike Back 2018” was repeated on the Koren polygon, with 700 soldiers, sergeants and officers, nearly 180 combat equipment and Su-25 the Bulgarian Air Force. Meanwhile, the frigate “Drazki”, a part of Bulgaria’s naval force, will participate in two exercises until April 18th learned BulgarianMilitary.com. The first exercise is in the composition of NATO’s second permanent naval group in the Mediterranean, and the second is a joint participation with the Naval Forces of Romania – “Sea Shield 2019”. “Drazki” was sent with a ritual at a base station in Burgas, with the ceremony attended by Naval Rear Admiral Mitko Peev and the Deputy Commander of the Flotilla Battleships and Auxiliary Vessels – Naval Captain Lane Vanyo Musinsky. Commander of the ship is Captain ll rank Ivaylo Ivanov.